University of Agriculture, Faisalabad, Pakistan: B.Sc., 1972; M.Sc., 1975; Ph.D., 1985; University of the Punjab: L.L.B., 1995; Post Doc., Ibraki University, Japan, 2007. Professor/Registrar, National Textile University, Faisalabad, 2014-to date; Pro-Rector, University of Faisalabad, 2012; Professor/Dean Faculty of Agriculture, upto 2012; Chairman, Dept. of Entomology, 2007-2009; Dean, Faculty of Agriculture, 2003-2006; Chairman, Department of Agri. 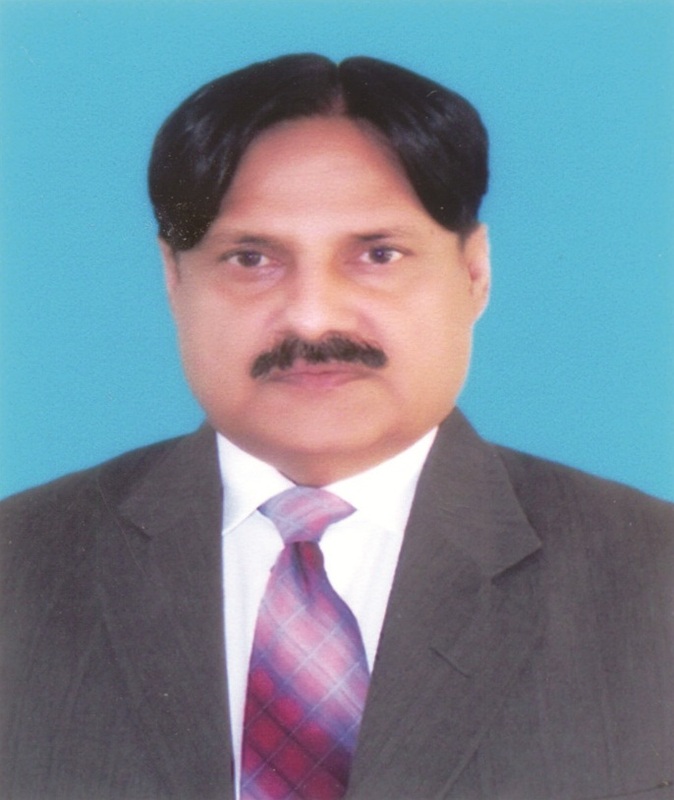 Entomology, 2002-2004; Principal Oﬃcer (Student Aﬀairs), 2003-2004; Head, University Library, 1997-2002; Director Student Aﬀairs, 1991-1995; Acting Vice Chancellor, University of Agriculture, Faisalabad. Shield of honor at International Civil Defense Day, 2015; included in top 10 “Most Productive Scientists of Pakistan”, PCST 2014;Listed at S. No. 1 in Applied Sciences (Agri.) by PCST; Sitara-i-Imtiaz by Government of Pakistan, 2013; Gold Medal by GC University, Faisalabad, 2012; Scientist of the Islamic World by FUIW (O.I.C. ), Morocco, 2011; Research Productivity Award, by Govt. of Pakistan, 2011; Award of Honor “Asian Peace Seminar” by India, 2010; Quaid-e-Azam Gold Medal, 2010; Zoologist of the Year Award, by Zoological Society of Pakistan, 2009; Better Incentive Award, by UAF, 2006-2009; 19th Bolan Excellence Award, 2008; AUS-PAK Education Excellence Award, 2008; Shield of Honor, by President of Pakistan, 2006; Tamgha-i-Imtiaz by Govt. of Pakistan, 2003; Best University Teacher Award, by HEC, 2002; National Education Award, 2002; “Star Man in Agriculture” by South Asia Publications, 1999; “Role of Honour” by University of Agriculture, Faisalabad. Fellow, Member and Diploma holder of TWAS (The World Academy of Sciences), 2011; Member, National Curriculum Committee of Ministry of Education;Managing Editor, Pakistan Entomologist; President, Entomological Society of Pakistan, 2002 to date; Executive Member, International Congress of Entomology, Durban, South Africa, 2008; Member, Society for Advancement of Agricultural Sciences, Pakistan; International Society of Environmental Botanists; Editorial Board Member: World Journal of Agricultural Sciences; Russian Journal of Acarology; Journal of Paciﬁc Islands, Japan; Entomological Society of Japan. Integrated Pest Management with special reference to Biological Control; Stored Grain and Stored Product Acarology; Sericulture.